The Solar Trade Association (STA) fears the government will spring more surprise cuts to solar energy support on the industry this week. Fresh reports in the media of new ‘reviews’ are already affecting many small and medium solar companies. Solar farms were hit hard by cuts to Feed-In Tariffs in 2011. But, with the cost of solar power falling dramatically, solar farms were funded under the alternative Renewables Obligation, and solar companies began to rebuild. Here, a representative of a small STA member company, who needs to remain anonymous, explains how his firm rebuilt from scratch but is already being hit by the prospect of further government cuts to solar power support. “As a small firm, we are exactly the type of business that will suffer the most under any dramatic changes in government policy. Our worries centre on changes to the Renewables Obligation (RO) and the government’s new system of energy contracts, known as Contracts for Difference (CfDs). We lost a year’s work back in 2011 when the government did the U-turn on the Feed-in Tarrifs. We then rebuilt the business from scratch in July 2012, and are only now just establishing ourselves again in the commercial solar market. We have currently 100 MW of grid connections secured with early planning development, and another 200 MW under grid and planning validation. It has taken all this time with limited funding (after the losses suffered in 2011) to reach this point. Just when the company is starting to re-establish itself in the market, and looking for additional funding to staff up, we have now been hit with this uncertainty. We were under negotiation for additional funding to take on more staff, but this has now been thrown up into the air, probably resulting in us having to scale back, not meet our current targets and reduce our employment level accordingly. We were in the process of vertically integrating to reduce costs by moving into the installation market. However this has now also been shelved. Added to which we have been looking to use some of this funding to branch out into the commercial roof market and community programs. However this may not be possible due to the uncertainty and resulting reluctance for investment. Therefore, the damage has already started for us SME’s, let alone planning for the future in 2015 and beyond. It has taken considerable time, delay and expense to implement this best practice approach, which is our policy for all solar sites. However, if we are forced to compete with large corporations who will be looking to price us out of the market, we would not be in a position to dedicate resources at this level. This will not doubt result in lower quality sites with less public support. It’s not something we want. However, to survive, we may not have any choice but to do so. 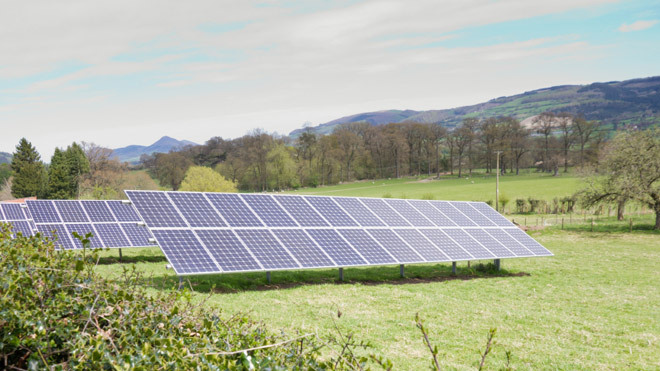 Great care has been taken by the STA to define good practice in solar farm developments. Detailed guidance has been set out by the National Solar Centre on visual impact and avoiding high grade farming land. More recently the STA worked with The National Trust, RSPB and others on turning solar farms into biodiversity hot spots.